Posted April 10, 2014 by Heather Michet & filed under Gardening, Medicinal Plants, Natural World, Plant Talk. Dandelions (Taraxacum officinale) are everywhere now! In my lawn, sneaking through the crack in the pavement, contributing color and nutrients to my salad bowl and even taking up a page in the book I’m reading. While so many despise its strong survival skills that can lead to a dandelion carpet in just a few seasons, dandelion has so much to offer to our food supply and health-keeping toolkit. As Euell Gibbons, renowned wild edibles expert said: “All parts are edible.” This is especially true of the dandelion. Roots are used in herbal infusions, and buds, flowers and leaves are excellent salad additions. Wild greens, in general, have higher nutrient values than those of the top domesticated greens such as kale! When you head out to gather some of these gems for your plate, be sure to gather from areas that are chemical (herbicide, pesticides) –free, for a least three years. It’s also important to correctly identify any wild-gathered plants to ensure their safe edibility. Using a comprehensive and accurate guidebook to wild edibles and taking classes can assist you in learning what to look for on your wild food foraging. I recommend Edible Wild Plants: Wild Foods from Dirt to Plate by John Kallas, Ph.D. The photo below shows Dandelion (top) and Cat’s Ear below it. The leaves look very similar but you notice a textural difference: Cat’s Ear leaves are much thicker than the papery Dandelion’s. Collect during the rapid-growth phase: when moisture is plentiful and temperatures aren’t real warm. Bitterness increases when the plant is exposed to too much sun and when the moisture decreases. So plants in partially shaded areas tend to be less bitter. Eat only the top 4” of the stalk beneath the bud or flower. Refrigerate shortly after harvesting to retain perkiness and nutrients. Alternately, you can immerse greens (leaves) in cold water until you have finished taking your haul. Welcome Dandelion into your kitchen and enjoy free food and outstanding nutrition. Been healing my self and eating many herbs for a long while and now want to dig a bit deeper in local foraging wild edibles and medicines east of the cascades? I wonder if you can point me to some resources in Columbia basin, Umatilla couty or ? I saw the name above and will follow up in Portland as well. I am an avid reader and very much into health/fitness and hiking. Appreciate any info/guidance. Thank you for your comments, Steve. Here’s the link to John Kallas’s Bookstore on his site: http://www.wildfoodadventures.com/bookstorereviews.html. There is loads of great information on his site that I believe will be helpful and useful for you. As far as books specific to Umatilla County and the Columbia River basin, I suggest talking with both a botanist from the Forest Service office in your area and someone at the community college. Another option is to speak with someone at the OSU Extension office. These folks are a wealth of information and eagerly share it with anyone who asks. Best of success in your wild edible explorations! I have a friend who makes dandelions, and that was my only knowledge of the plants being edible. Not only are the edible but they are good for you too, I had no idea. I love plants; as a kid I was fascinated with them, love to dissect them or just start at them. However I don’t know much about them and how to identify them. I know dandelions when they flower but even with the picture above don’t trust that I would be able to pick it out from another plant that might be unsafe to eat. Before I go out searching for dandelions and eating them I think I’ll just visit your blog and learn until I build up the confidence to try something new. This article was very interesting and I look forward to learning more. Hi Tammy! Thank you for your comments and for reading. You are wise to be cautious about selecting plants to eat from the wild. To gain confidence in plant identification, I suggest heading out to the field, farm, forest or your yard with someone knowledgeable about wild edibles. I am guessing they’ll be happy to share their knowledge with you and gain another enthusiast in the edible plant tribe. 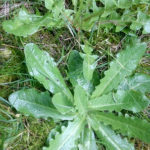 Hi Heather, Even though I’ve heard rumors for years about the amazing vitamin density and general overall nutritional and even medicinal qualities of dandelions, it’s only been VERY recently that I’ve actually looked into harvesting and consuming them. This spring is actually my first time to ever to actually “eat some weeds” from my yard. ….and boy do I have a nice supply!!! LOL I’m now actively trying to start a serious patch of them in a partially shady area between 2 buildings here on the property I live on. I recently combined some tops and buds and leaves with a few big leaves from my awesome comfrey plant “Max” and some kale and I added some organic grapes and oranges and put it all in the vitamix and came up with one heck of vitamin packed green drink that was pretty tasty. What do you think about mixing leafy greens with fruit and consuming them together, is it perfectly OK or do you feel they should not be mixed or consumed at the same time? Also, I’m entirely new to the world of available information on “foraging wild plants” as a regular part of your diet, but QUITE fascinated with it all. What are your favorite sources of information on this topic to most thoroughly cover specific areas. Like for instance here in Oregon where I live on the east side of the cascades vs. where you are over on the western side? 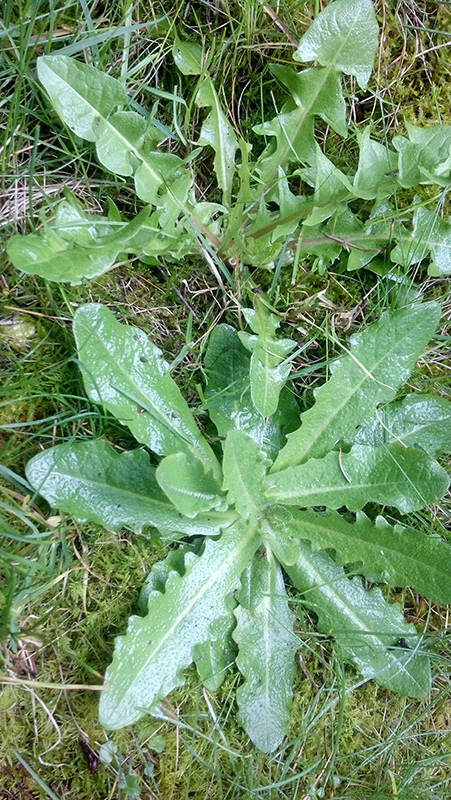 How many more amazingly nutritious wild edibles like dandelions are there right outside my door right here in my “neighborhood”?? …and what’s the best way to learn all I can about them? Thank you for your comments and questions! You are smart to get some dandelions set up in a partially shady piece of land; they get bitter with too much heat and dry. Your comfrey/kale/fruit smoothie sounds amazingly yummy & nutritious! I don’t have a big issue with mixing some fruit & greens together; I do it frequently with salads and in smoothies & whole juices. I think the vibrant and vital chi of fresh organic greens & fruits overrides the combining issue. My body does ok with it, but others’ may not. Always let your body’s communication with you be the guide. Resources – I recently heard a lecture given by wild food guru John Kallas, PhD, who resides in Portland OR. He has been living and educating the edible wild foods life for decades. I highly recommend his book “Edible Wild Plants: wild foods from dirt to plate”. Euell Gibbons’ books are very good as well. One of my very favorite plant reference books is ‘Plants of the Pacific Northwest Coast : Washington, Oregon, British Columbia and Alaska’. Don’t let the “coast” shy you away from this gem. It actually covers a large region. Not knowing exactly what grows in your area, I suggest contacting John Kallas at wildfoodadventures.com and asking him for some east of the Cascades resources (people and books). Also check with your local OSU extension office and Forest Service; they may offer classes. Happy, safe and nutritious gathering and eating to you!